After 20+ years of doing business with the same logo, we felt that it was finally time for a change. 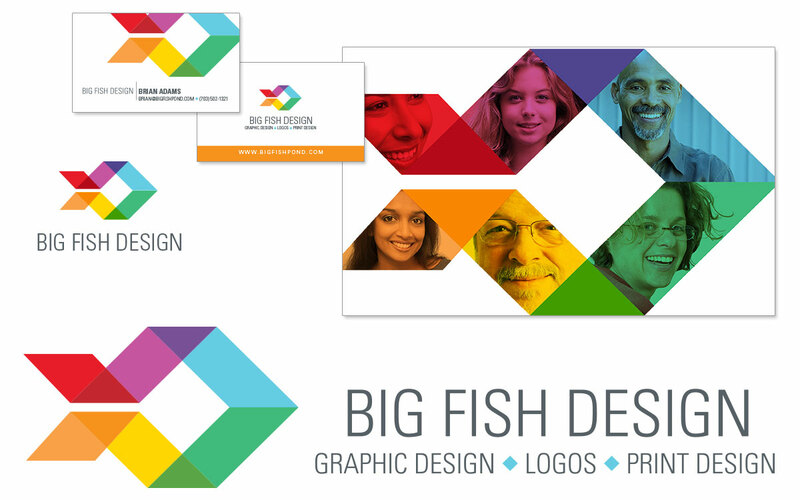 Our old fish logo was popular, and even won a couple of awards back in its day, but we wanted to give the company a vibrant new look, and after many, many crumpled up ideas, the new “origami” fish was spawned. In designing this logo, we knew that we wanted an image that we could alter as needed, to work with a variety of marketing materials. We have worked with so many organizations and corporations with design guidelines thicker than a phone book (remember those?) that we wanted a logo that had no rules. The new fish icon will lend itself well to color changes, and we will even dismantle it to use its shapes as graphic elements — it is flexible enough to bend to any design challenge. While our clients tend to stick to a strict set of guidelines (which is a good thing! ), we will veer in the opposite direction and show how a logo can morph itself to further a company’s brand while maintaining its “family” look. We may be sad to see the monster fish depart, but are excited to see how this new logo can swim!